There's nothing quite like a bath or shower with a good cleanser... nothing like the clean smell and the feeling of refreshment. If you frequently need to wash up, the generous portion of moisturizers in this formula can help keep your skin from drying. Mild coconut-based cleansers are blended, adding just enough water for proper consistency. 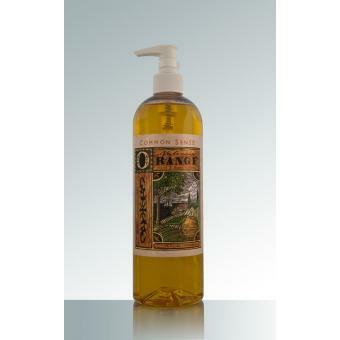 Then pure vegetable glycerine is mixed in and water soluble castor oil for their excellent moisturizing properties. To this salt is added for stable consistency, citric acid for balanced pH, and pure plant oils for fragrance. Common Sense Hand and Body Cleansers are excellent by the sink, the tub or the shower. We think you'll like the sweet aroma and the way it gets you clean.